William Houston "Bill" Hemp Jr. Provide comfort for the family of William Hemp with a meaningful gesture of sympathy. 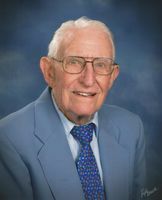 Mr. William Houston “Bill” Hemp, Jr., age 90, of Covington, died January 28, 2019, at LewisGale Hospital-Alleghany, Low Moor. He was the husband of the late JoEtta Fortney Hemp. Mr. Hemp was born August 3, 1928 in Rockbridge Baths, the son of the late William Houston Hemp, Sr. and Lena Elliott Hemp. Bill graduated from Dunsmore Business College. He was the co-owner of the former McCaleb and Wayland Insurance Agency which later became Hemp Insurance Agency. Mr. Hemp was a member of Granbery Memorial United Methodist Church where he served the church as a lay speaker and a Sunday school teacher. Active in our community, Bill was involved with visiting with Hospice patients, was a volunteer at Edgemont Primary School, and was formerly a member of the Salvation Army Board. Previously, he was a member of Staunton Ruritan Club and Callaghan Ruritan Club. Mr. Hemp is survived by a son, Houston Hemp and wife, Charlene of Midlothian and Ed Hemp and wife, Lynn of Covington; a daughter, Sheryl Stone and husband, John of Covington; ten grandchildren, Angela MacFarlane and husband, Ryan, Sara Hemp, Michelle May and husband, Scott, Mindy Gardzinski and husband, John, Megan May and husband, Brent, Jason Hemp, Scott Seldomridge and wife, Ashley, Beth Craghead and husband, Jerry, Neil Seldomridge and John Stone, Jr; and thirteen great grandchildren. A funeral service will be conducted at 10:30 A.M. Saturday, February 2, 2019, at Granbery Memorial United Methodist Church with Rev. Russ Urban officiating. Interment will follow in Augusta Memorial Park, Waynesboro. The family suggests that memorial tributes take the form of contributions to Granbery Memorial United Methodist Church, 425 W. Main Street, Covington, VA 24426 or Mountain Regional Hospice, P.O. Box 637, Clifton Forge, VA 24422. 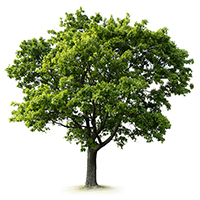 To plant a memorial tree in honor of William Houston "Bill" Hemp Jr., please visit our Heartfelt Sympathies Store. 4 trees have been planted in memory of William Houston "Bill" Hemp Jr.
We are so sorry for your loss. Riggs and Darlene. Thinking of you in your time of sorrow. Our thoughts and prayers are with you. A gentle, yet strong, Godly gentleman. May his influence live on.